A Fencing Contractor in Bend, Oregon, Serving Central Oregon, and the Entire Rest of the State, Since 2008! Home of the low price guarantee. We will beat any major competitor by 5%. 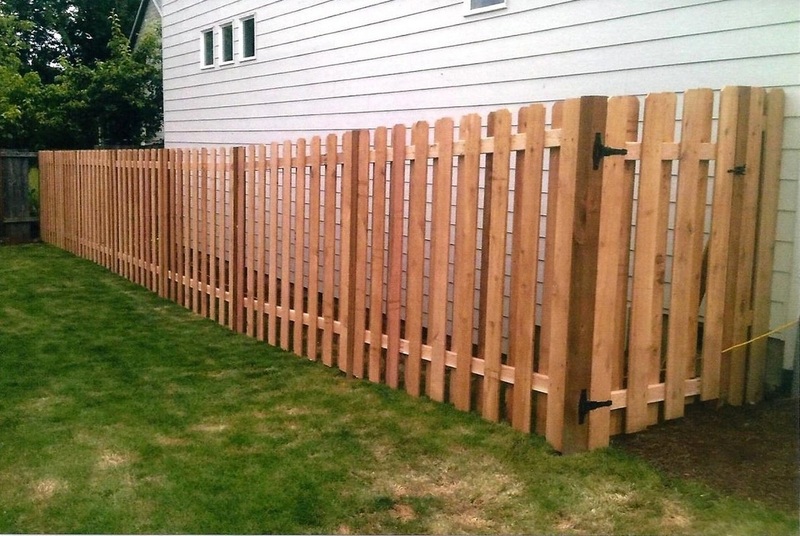 An example of a custom Good Neighbor Fence in Portland, Oregon. A recent fencing project in Portland involved constructing a Good Neighbor Fence! When looking for a fencing contractor to build your next fence or deck, you need someone reliable, who will show up on time, and complete the project on schedule and within your budget. At Copeland Fencing & Construction, our ultimate goal is a satisfied customer, and a quality product. We do this by exceeding the customers’ expectations and using top quality materials. You can expect your next fence or deck to be built the right way, the first time. No skimping on materials or procedures, GUARANTEED! So if you would like a quality built fence or deck, give us a call for a free quote. If you can imagine it, or draw it; we can build it! We serve the whole state of Oregon! Call us to discuss your next custom fence or deck. © 2012-2018 Copeland's Custom Fencing, Redmond, Oregon, 97756. (541) 325 -1748 Website by Fast Penguin Web.